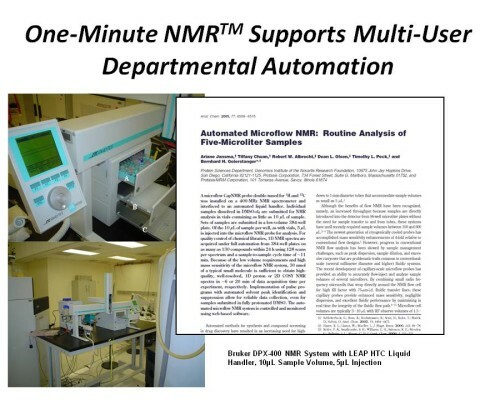 MicroFlow NMR combines feature rich high sensitivity with supreme ease of use. 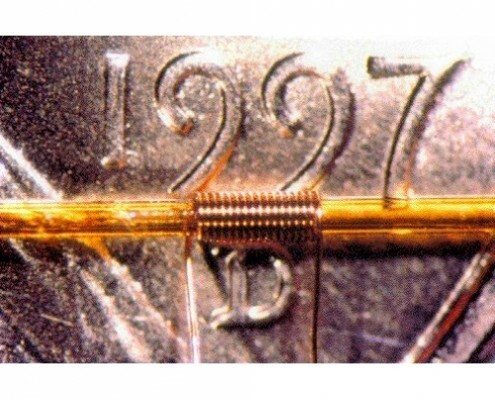 Operating at the capillary-scale will save time and money while enhancing your sensitivity. For increased functionality at a remarkable value, nothing else compares. Save sample preparation time and cost. Spend less time in the field collecting raw material. 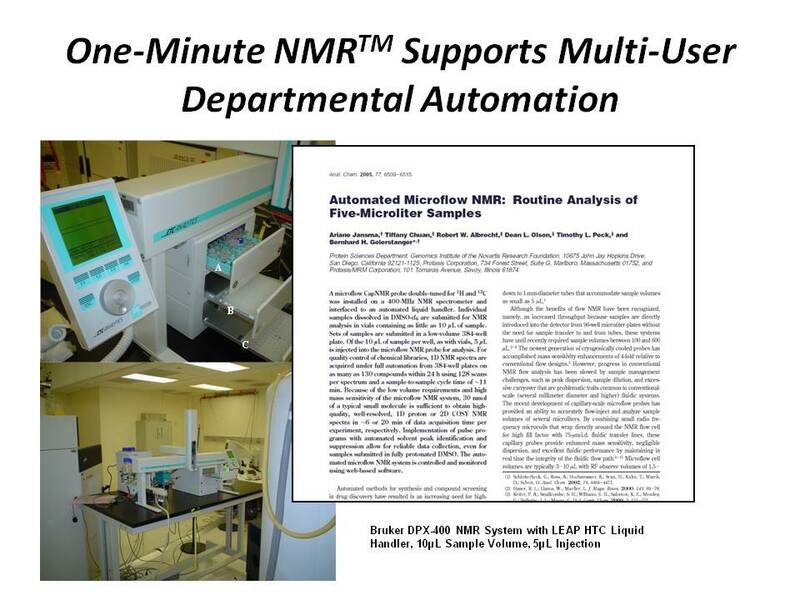 LCapNMR Probes excel in mass-limited applications. Load from a simple syringe or automate with a liquid handlers. Push the sample in. Park for hours. Then push it out. Recollect. 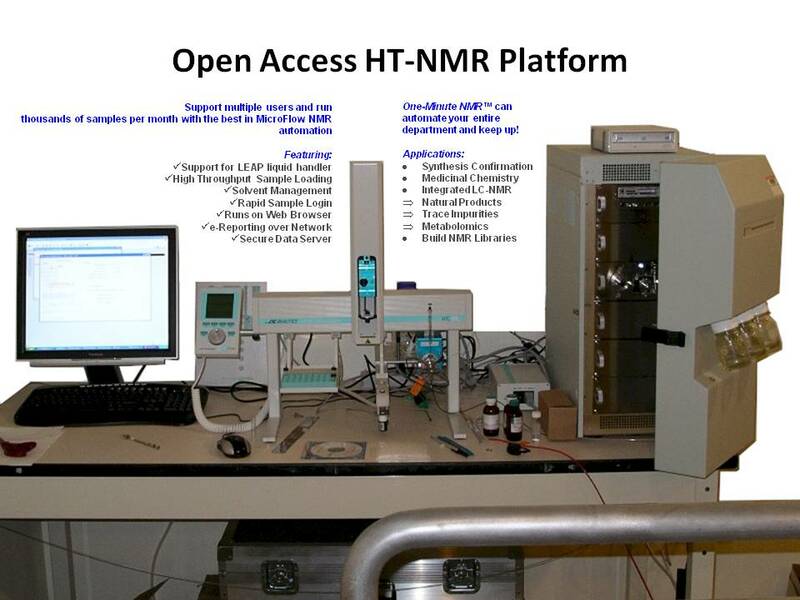 CapNMR works with Agilent, Bruker, JEOL and Oxford magnets. 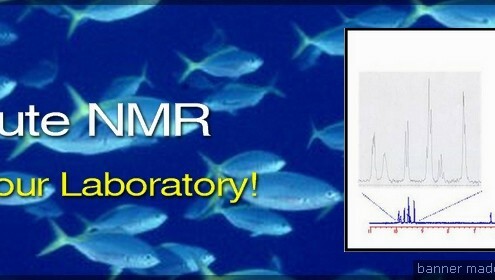 Use all standard NMR experiments. Run 1H, 13C, COSY, HSQC, HMBC, NOESY.Â Strong z-gredient. Collect Less. Get Published Faster! Get NMR spectra from a few micrograms of your precious sample. Ability to completely recover my samples into the original vial. Probe Performance: How can I achieve high mass sensitivity with low solvent volume requirements? The Protasis/MRM CapNMR probe is designed throughout as a capillary-scale device. With a total internal volume of 7Î¼L and a flow cell volume of 4.5Î¼L (active volume is 1.5 Î¼L), itâ€™s the smallest volume NMR probe on the market. The tremendous mass sensitivity is sufficient to obtain a 1H S/N > 10:1 from 1Î¼g of material in only a few minutes. 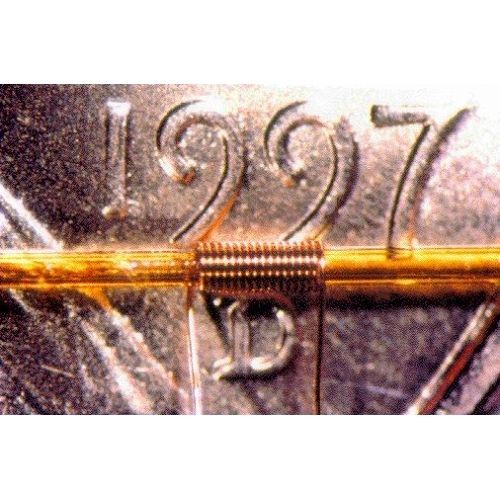 The probe is easy to use, requiring adjustment of only a few shims when first inserted in the magnet, and after solvent changes, while virtually no shimming is necessary for samples in the same solvent.Â Highly conductive (e.g. salty) samples are no problem for this probe – less than a 10% S/N penalty for salt concentrations as high as 0.5M. Sample Management: What are my options? Sample management options range from the very simple, practical, and economical approach of direct syringe injection to more elaborate techniques involving sample vials, 96 well plate format in automation and capillary chromatographic hyphenations. While the more involved techniques offer a greater range of functionalities, the simple approaches to sample introduction shouldnâ€™t be dismissed. 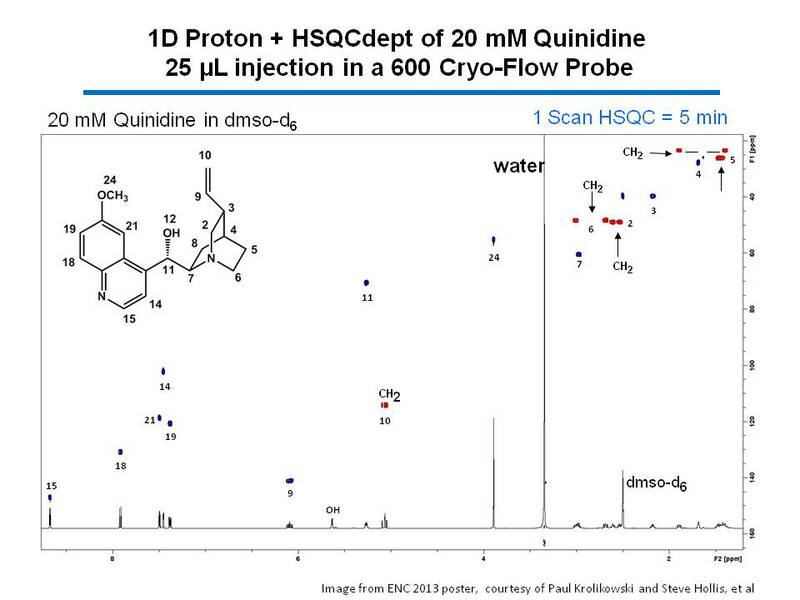 Sequoia Sciences, a company dedicated to drug lead generation from natural product libraries has analyzed well over 300 natural products using the CapNMR probe. Cost Savings: Can I save on deuterated solvents? Do I still need tubes? 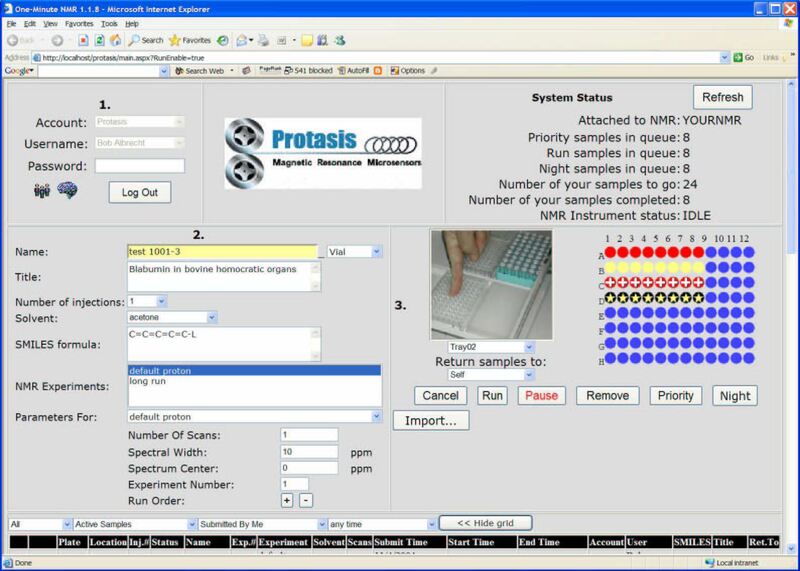 Protasis/MRM offers high throughput systems for NMR analysis. But we also offer options for easy, manual loading that can be accomplished with a minimal knowledge of sample handling techniques. We offer application note NMR-10 that fully describes the manual method of sample loading. You can request this note at info@protasis.com. 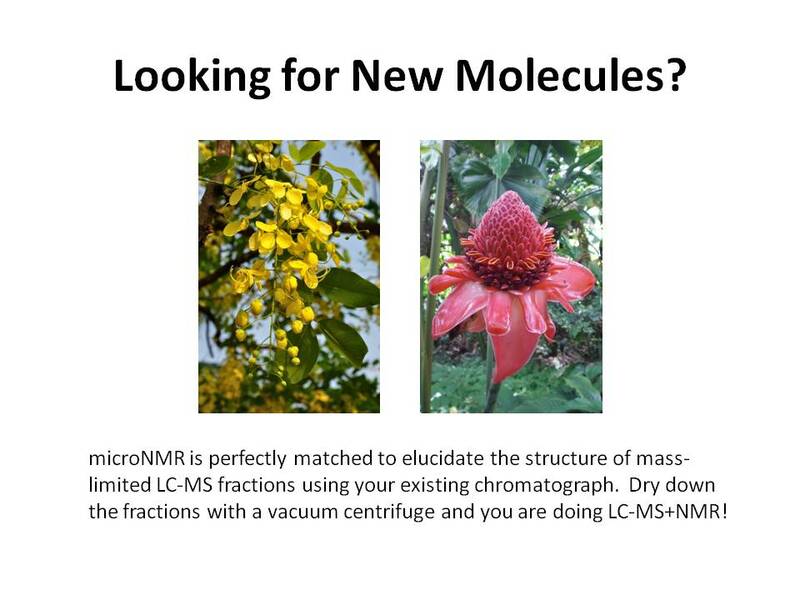 Get NMR spectra from your mass-limited sample.